My friend George Caylor and his wife, JoAnne, once met the late actor Charlton Heston when he visited Lynchburg, Va., where they live. Now George is not one to pass up an opportunity to meet someone like Heston, whose career included lead roles in such movies as The Ten Commandments, El Cid, and Ben Hur, for which he won an Academy Award in 1959. 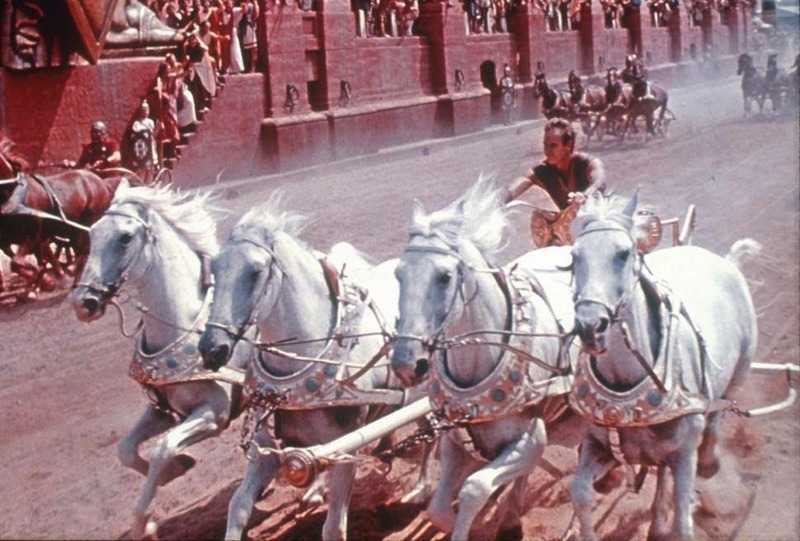 Heston regaled them with the story of filming the famous chariot race in Ben Hur. Refusing to use a double for the scene, the actor had practiced for months. He was trying desperately to win the race when Director William Wyler drew him aside. What a reminder for believers! We, too, often feel as though we’re running a desperate race—and losing. Jostled about, thrown from one side to the other, bouncing every which way, we try to stay on our feet and maintain control. We take our eyes off the finish line to see what the enemy is up to. And we do have an enemy—an unseen adversary who does whatever he can to trip us up, sidetrack us, get us to doubt our faith. If we abandon that faith, he’s won. Have no doubt: This enemy is real, and he means business. “For we are not fighting against people made of flesh and blood,” Paul wrote the Ephesian believers, “but against persons without bodies—the evil rulers of the unseen world, those mighty satanic beings and great evil princes of darkness who rule this world; and against huge numbers of wicked spirits in the spirit world” (Ephesians 6:12 LB). Indeed, our adversary prowls around like an insatiable lion, looking for his next meal (1 Peter 5:8). One of his favorite strategies is to get you to take your eyes off the finish line and look in the rearview mirror—at your past. Your sin. Your guilt. Your shame. “How could God ever forgive me for what I’ve done?” you wonder. The race may be fierce, but the outcome is certain: You win; the devil loses (Revelation 20:10). If you’re a believer in Jesus (see 1 John 5:11–12), your victory was sealed over 2,000 years ago on a hill outside Jerusalem by none other than God’s own Son. So if you’re being tossed about in this race called life and it seems as though you’re losing, remember: The plot has already been written! The ending is sure! You win! All you have to do is stay on the chariot. When doubt steps up in my life chariot and I try to take over the reins, remind me, Lord, that You are in control. My victory is certain, for You won it for me on Calvary. Help me to keep my eyes fixed on the finish line. Amen.